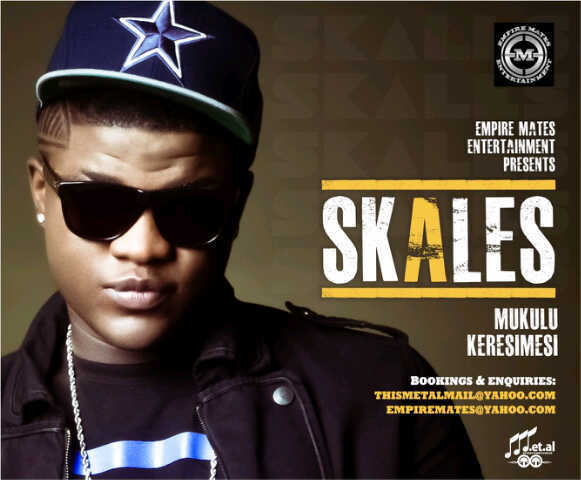 E.M.E RAP STAR SKALES UNVEILS TWO BRAND NEW SINGLES "MUKULU" & "KERESIMESI"
Leading with the instantly infectious and catchy "Mukulu" - which is well poised to top mainstream radio charts and fill up dance floors all over the continent in the coming months - SKALES shows off his vibrant, flamboyant and "lover boy" side with clever and witty lyrics and a glorious hook that you will not be able to get out of your head as he confesses his luv and affection for his leading lady over this lush drums-led production courtesy of the one they call SARZ. I dare you to try and not sing "Ja mukulu Ja mukeke" and move your body to this one! While "Mukulu" is a catchy infectious crowd-pleaser, "Keresimesi" is an instant head-banger with which Skales boldly and confidently stakes his claim on that African Hip-Hop throne as this SARZ-produced rap milieu laced with resounding drum kicks and blazing trumpets perfectly usher SKALES right to his rap kingdom and wiith straight shooting lyrics such as, "The new King of Alaba stores" and "I'm headed NOT just for a Grammy, I want it all", SKALES makes it clear to everybody listening that he is officially out - all guns blazing - and gunning for that number one spot!